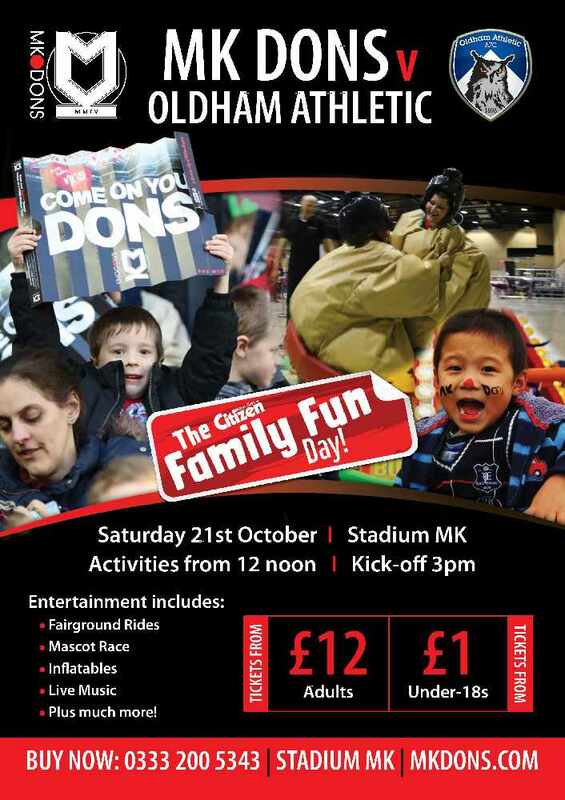 You could win two tickets to the Family Fun Day and League One match against Oldham Athletic at Stadium:MK this month. MK Dons take on Oldham Athletic on Saturday 21st October with a 3:00pm kick-off and you could be attending for free. All you have to do is listen to MKFM Drive between 4 and 7 and whenever you hear the GOAL jingle, text "MKFM DONS" to 81400. Greg will play the GOAL jingle every day this week, so that's five chances to win! A winner will be selected at random from all the entries received each day. Texts are charge at a standard message rate and all the usual competition terms and conditions apply.